How to save MSG as Text with attachments fast? 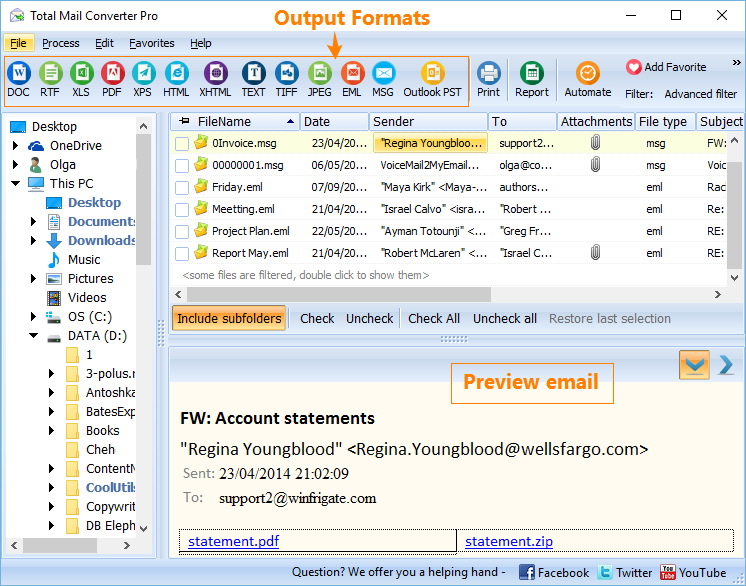 You are here: CoolUtils > Total Mail Converter Pro > How to save MSG as Text with attachments fast? 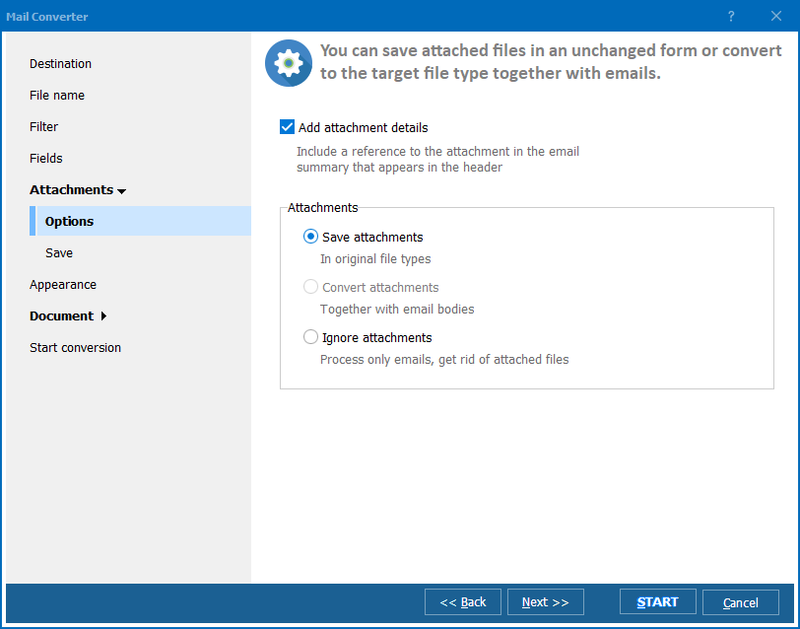 MSG files often contain attachments that should be converted together with email messages. 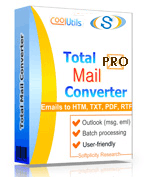 Such type of MSG export is offered by Total Mail Converter Pro. 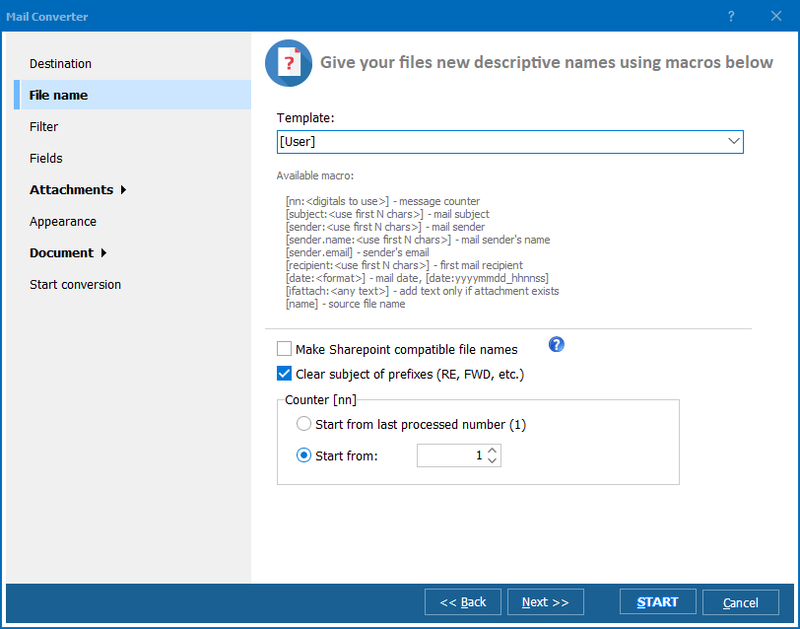 This program can convert MSG into text including attachments in batches. This is a quick and safe way of exporting data from MSG files. MSG files in their original format are not readable by common applications. Converting them to TXT format, for instance, you will extract texts from the fields of original emails and attached documents. TXT copies are the most compact in size, while this batch MSG converter supports other formats too (DOC, ODF, TIFF, HMTL, JPEG, RTF). Smart recognition of file types will help to process every item properly. 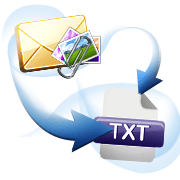 Documents and attached messages can be exported to TXT, while other file types will be saved to a folder unchanged. If you decide to convert emails to DOC or RTF, you will be able to insert attached images into a converted message. The program can save the configuration of conversion you made into a separate command file. Then you will be able to convert MSG to text with attachments from the command line, using this file. You can write text of the command directly in CMD interface too, when get comfortable with all required parameters. Try all that for free in a demo version!